Charles Krauthammer writes today that there are only two circumstances that justify torture. The second exception to the no-torture rule is the extraction of information from a high-value enemy in possession of high-value information likely to save lives. This case lacks the black-and-white clarity of the ticking time bomb scenario. We know less about the length of the fuse or the nature of the next attack. But we do know the danger is great. (One of the “torture memos” noted that the CIA had warned that terrorist “chatter” had reached pre-9/11 levels.) We know we must act but have no idea where or how — and we can’t know that until we have information. Catch-22. What an astonishing coincidence! That’s exactly the situation the Bush administration says it was in. 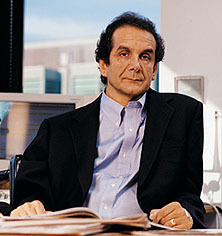 If it weren’t for his legendary dedication to intellectual integrity, you’d almost think Krauthammer had simply taken a post hoc look at what his own team did and had then made up a justification to fit. But he wouldn’t do that, would he? Of course, any rule worth the paper it’s written on has to apply to more than just our side, so presumably this means Krauthammer thinks it’s generically acceptable to torture anyone of sufficient rank and value. If the Germans had captured a colonel with probable knowledge of Patton’s battle plan, torture would have been OK. If the Taliban caught a deputy consul who knew when the next attack on Kandahar was scheduled, torture would be OK. If al-Qaeda catches a Air Force pilot who might tell them the secret of detecting and shooting down drones, torture will be OK.
Krauthammer’s exception isn’t an exception. It can justify practically anything, either from us or from anyone else. It’s essentially the end of the civilized consensus against torture. Unfortunately, I imagine that’s the point.